I’ve been practicing dentistry for the past seven years. I spent the first couple years out of dental school working with a dentist in Garland, TX and for the past five years I’ve had the privilege to serve the University Park/Highland Park Community. I’ve seen hundreds, probably thousands of patients at Highland Park Dental and I cannot count the number of patients that walk through my door with a story or stories of issues with past dentists or dental offices. 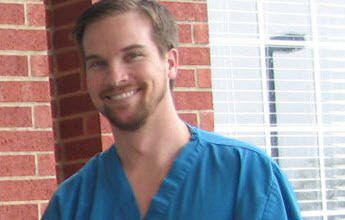 After dental school I was excited to enter into an honest health care profession; dentistry. Unfortunately, as in any other profession, ethics is always called into question. On numerous occasions I’ll have new patients come to our office scared, confused, angry, and upset and looking for answers. The usual story they tell me is they were going to a dentist for a long time and all of the sudden they went from a healthy mouth to needing thousands of dollars of dental work. I’ve heard it so many times. “My teeth have been healthy all my life. I’ve never had any cavities. Why do I need all this work now?” “I was told just six months ago everything was completely fine and now I need all this work? Why?” “My son just went to another office for his first visit and they found 8 cavities? Can that be right? We were just told everything was fine and we just needed to see our orthodontist”. On some occasions the patients will even bring their treatment plan that was provided at the past office. Comparing the plans and what we perceive the patient’s needs are sometimes are shockingly very far apart. I often have this same feeling when I take my car to the mechanic for an oil change/inspection. Each time I report for my oil change, I always wonder what story they are going to give me now. What new part is broken or needs to be tended to. I literally know almost nothing about cars. I am putting 100% trust in the mechanic that he/she is being completely honest with me about my vehicle. But time and time again, I get different opinions from different mechanics…..what am I supposed to do? Whom do I trust? Dentistry is very much the same. You can set up new patient visits with 10 different offices and you are going to get 10 different experiences with 10 different plans for what type of dental work you need. Unfortunately, I have seen some unethical practices in my field. I’m sure they occur in all fields, but it’s very disheartening when you see a patient that has been taken advantage of and had their confidence in dentistry and its ethics questioned or destroyed. Moral of the story: trust your instincts. Yes there are dentists out there that see each new patient as an opportunity to “sell” them something. Maybe even a treatment that isn't even needed. Each dentist and dental office has a philosophy. At Highland Park Dental, we focus on your goals, the patient’s goals. Our mission is to help you get exactly what you want and have a great experience. If you are at a new dentist’s office where there has been a major change and you are shocked by what you hear, come visit the team at HPD. We focus on honesty, professionalism, and creating treatment plans with the patient and guided by the patient…not for ourselves or our own benefit.